pfft its not a glich its a "hidden feature"
Might be a precursor to the Hungry Hungry Asteroids mini-game. An easy way to make derelicts. I actually thought this WAS a derelict ship try... strongly reminds me of Stargate Atlantis's "Aurora" Derelict Ancient Battlecruiser. DarkMinion discovered an interesting glitch! 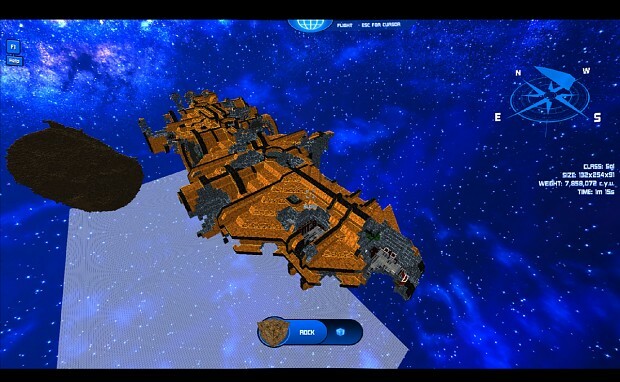 Generate an asteroid in the editor while a ship is loaded to eat some holes into it!